Idaho's Silver Valley Marks 40 Years Since Sunshine Mine Disaster May 2 marks the 40th anniversary of one of the worst mining disasters in U.S. history. In 1972, a fire broke out underground at the Sunshine Mine in Kellogg, Idaho; 91 men died of carbon monoxide poisoning. The disaster had a devastating effect on Kellogg and the nearby communities in Idaho’s Silver Valley. People who were there still vividly remember the events of that day. May 2 marks the 40th anniversary of one of the worst mining disasters in U.S. history. 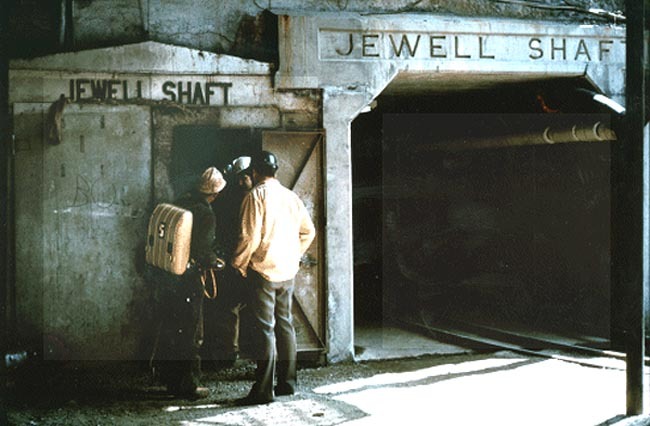 In 1972, a fire broke out underground at the Sunshine Mine in Kellogg, Idaho; 91 men died of carbon monoxide poisoning. The disaster had a devastating effect on Kellogg and the nearby communities in Idaho’s Silver Valley. People who were there still vividly remember the events of that day. Forty years ago, the channels of communications were nothing like they are today. When the fire started underground at the Sunshine Mine, Kathy Atha didn’t hear about it on the news or on Twitter. She was at her job, at the First Nation Bank in Pinehurst, a few miles west of Kellogg. “It was in the afternoon, three or four o’clock in the afternoon," Atha recalls. "A gentleman came into the bank. He was very agitated, he was upset, and he said the Sunshine Mine was on fire. I called my husband. He worked for Bunker Hill mine at the time and I told him. He said, ‘It’s a hard rock mine. What’s going to burn?’"
Word spread through the community. Rescue crews responded. People waited for any kind of word they could. When it was safe -- and it was known that men had died -- Don Grebil went to work. “And I hauled 95 percent of the bodies that come off from that to the mortuary in Kellogg in my truck, my brother and I," Grebil says. "And we’d come back and wait. They’d bring some more up and we’d put them back in my truck and I’d haul ‘em back into Kellogg." The community, not just Kellogg, but the whole Silver Valley, grieved. Some people still grieve today for the events of 40 years ago. Life went on. Widows and children who were orphaned eventually were awarded death benefits by the state of Idaho. Legislators changed mining laws to require safety training and new safety equipment in mines. Inspections became more frequent. “There were two lawsuits filed," Launhardt says. "The first one was filed by attorneys representing the widows and the children against the Mine Safety Appliance company, Dow Chemical, Mobay Chemical and a few others. They received a $6.5 million settlement." 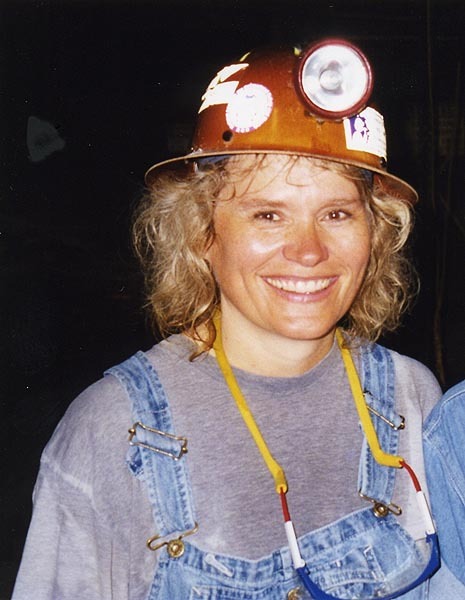 At the time of the fire, Elaine Cullen worked for the Bureau of Mines. ‪The National Institute for Occupational Safety and Health (Niosh) needed training materials for mine rescue teams. Cullen was well known and widely respected for her training ‪videos, so she‪ was select‪ed‪ to create new safety films. “Because the ‘Shine was the hottest of the mines and it was also the most rockburst prone, the Sunshine miners were known in the valley as the big dogs in the fight," Cullen recalls. 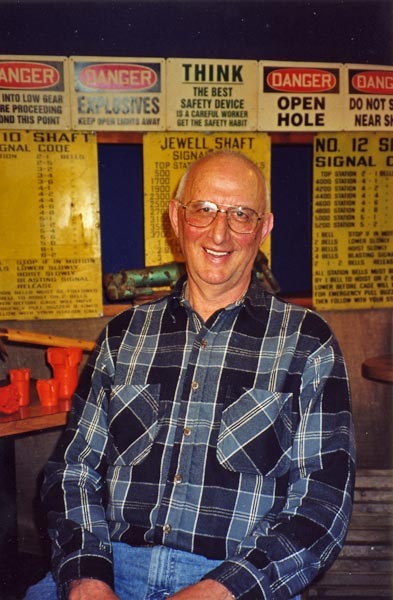 "I mean, if you wanted a tough miner, it was a ‘Shine guy. And the first guy that I interviewed broke down and sobbed. I thought, ‘Oh my God, what have I done?’ I said, ‘We’re not making a training video anymore. We have a sacred trust here. They’re trusting us with stories and trusting us to do something about it.’"